aFe Control is proud to release the PFADT Series steel frame Camber kit. 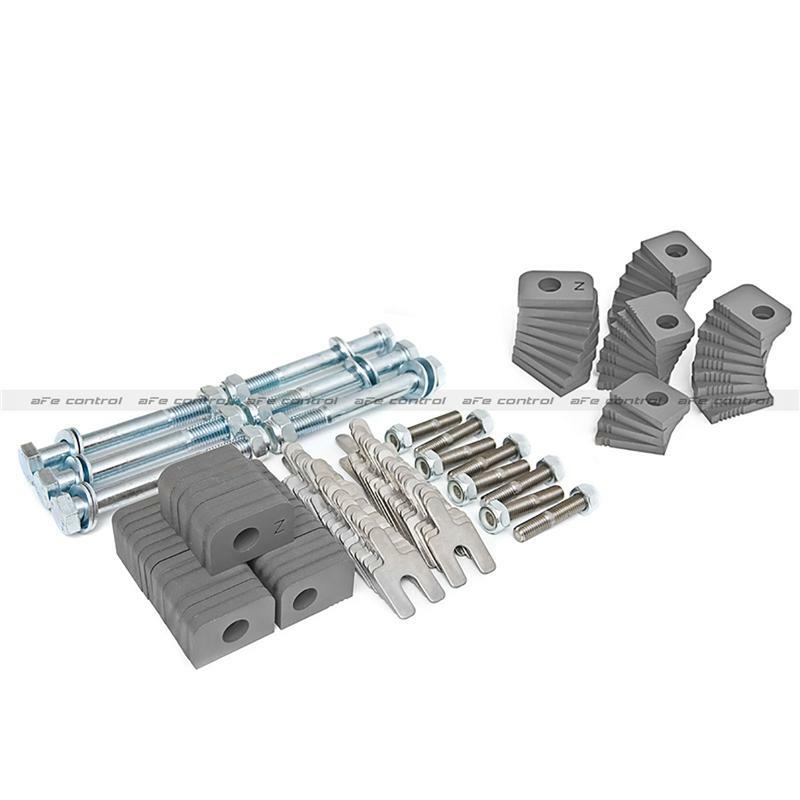 The kit is designed to replace the factory alignment eccentrics with precision water jet cut aluminum degree indexed spacers to positively lock alignment settings in place cars. Upper control arm adjustment is achieved through the use of 304 stainless steel alignment shims. Included in the kit is grade 10.9 hardware upper control arm studs and all necessary hardware. Don’t risk tearing up an expensive set of tires due to a alignment slip. Install a PFADT Series camber kit today.